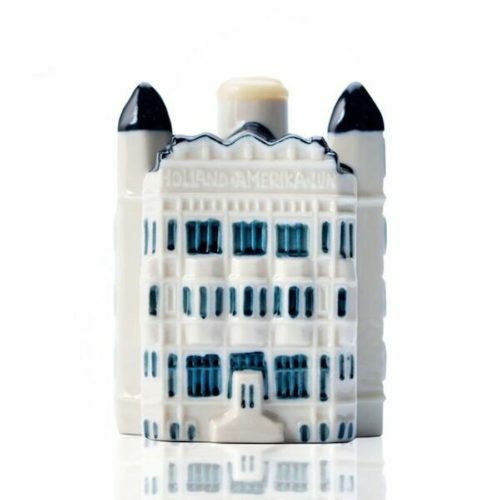 I had the great pleasure of being on-site in Rotterdam for the unveiling of KLM’s newest – and 97th – Delftware miniature house: a likeness of the Hotel New York. The hotel occupies the former headquarters of the Holland American Line and for many years, beginning in 1872, the company’s ships sailed between Rotterdam and New York and several other U.S. cities. 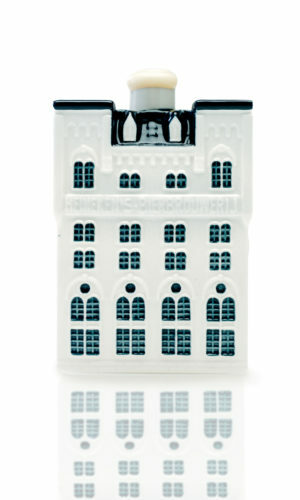 You can read my story about the big “reveal” – and KLM’s tradition of gifting these gin-filled tiny houses to business class passengers, on USA TODAY, but in the meantime, here’s a photo of miniature house #95- a likeness of the Heineken Brewery in Amsterdam.